In part I of The Eagle’s examination of USU Eastern’s enrollment decline over the past several years, we surveyed potential students in local high schools to get a better understanding of what their higher education plans were and where they would choose to attend. 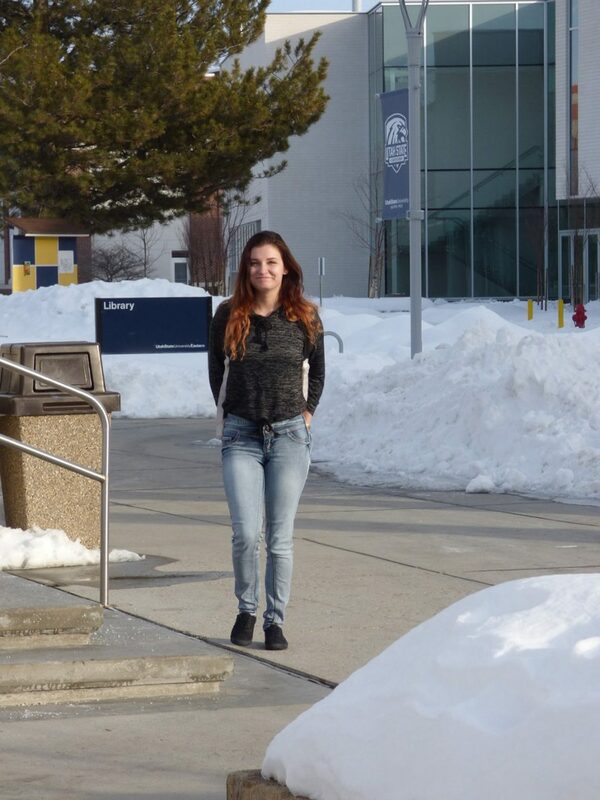 In Part II, we examine the reasons why students enrolled chose to come to this campus specifically and what was being done to better promote USU Eastern throughout the state. While enrollment decline is not unique to USU Eastern, other similar-sized schools in the state have seen increases in student numbers. Advertisements for school rival Snow College can be seen driving north or south along Interstate 15 as well as in the margins of articles posted on ksl.com, while no advertising specific for USU Eastern can be found. USU Eastern Vice Chancellor of Enrollment and Student Services Greg Dart sat down with The Eagle to give insight into the schools effort’s and the nature of enrollment throughout the state. Dart was able to convey that USU Eastern is an institution unlike any other in the state with opportunities previously not available to students in Price, but along with these new opportunities came uncharted territory not previously experienced by higher education in Utah. In the past USU Chancellor Dr. Joe Peterson explained this situation as needing to view ourselves as “both Eagles as well as Aggies” and the effect of this view has created a unique challenge to marketing this campus. While complicated, the concept has benefits that Dart hopes can be maximized. The process is also be fine tuned, including a new process for scholarships being offered to prospective students in an effort to boost enrollment number of new freshman. In addition to reworking the scholarship process, Dart said new student days are being held on campus and throughout the state at several times during the year to familiarize potential freshman to the benefits offered by living and studying in Price. The greatest challenge of all, Dart explained, will be to test and observe the effectiveness of all our marketing and recruiting efforts from semester to semester, especially as the system approach for USU is in its infancy. “If we want to be where we want to be in 10 years, we have to answer the question of what do we offer that nobody else offers.” The uniqueness of USU Eastern as a selling point and developing a brand or image to go along with that will take time and as we are in uncharted territory as both Eagles and Aggies USU Eastern has to opportunity to be trail blazers.